Cortez E. Patton | The Barristers' Association of Philadelphia, Inc.
Cortez E. Patton serves as Chief Counsel to state Senator Anthony Hardy Williams. In that capacity, Cortez leads legislative and policy initiatives in Philadelphia and Harrisburg. In large part, Cortez focuses his work on criminal justice reform, equity in public education, workforce development, and access to suitable housing. In private practice, Cortez concentrates on employment discrimination, prisoners’ civil rights, and family law matters. 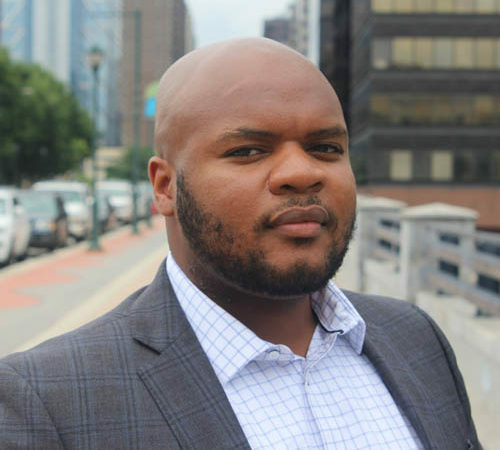 A Philadelphia native, Cortez is a graduate of Temple University and the Thomas R. Kline School of Law at Drexel University.